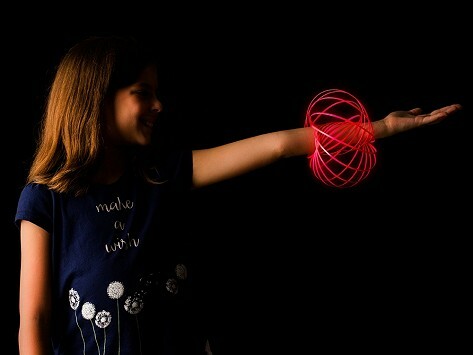 Get ready to glow with the new glow in the dark Mozi—a.k.a. Glozi. 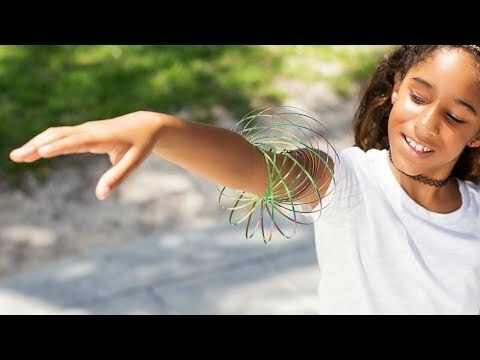 Glozi is a slinky-meets-fidget toy for your arm. Glide it across from one arm to another or pass from your arm to a friend’s. Its simplicity is mesmerizing and addictive. My grandson is very active so he enjoys playing and creating ways of playing in the dark, he loves it!